Unlimited museum admission for a maximum of 5 children and 2 adults (from one household). 50% off admission for additional household members. 10% discount in KidsPlay's museum gift shop. Discounted admission to special events including the KidsPlay Family Fun Fair. 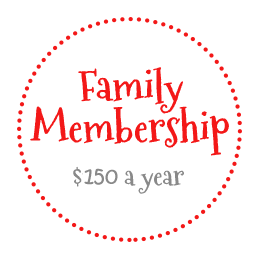 50% off admission (for up to 6 family members) when you visit the other 200+ children's museums within the Association of Children’s Museums Reciprocal Network. 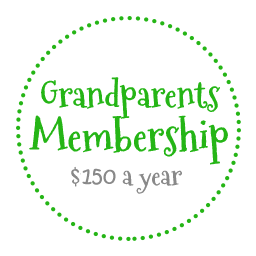 Unlimited museum admission for 2 grandparents and all grandchildren (or great grandchildren).